I often hear the term 'Butterfly Lighting' used when discussing high-fashion and glamor photography. How do I set up Butterfly Lighting, and when do I use it? Butterfly Lighting is one of the 5 basic lighting setups commonly used in studio portrait photography. It is also variously referred to as 'Clamshell Lighting,''Glamor Lighting' 'Beauty Lighting,' or 'Paramount Lighting.' At its most basic, Butterfly consists of a single light pointed directly at the subject straight on, and raised high enough to create a downward shadow on the subject. This causes a little ‘butterfly’ shadow to appear directly underneath the subject’s nose. Often the Butterfly Lighting setup is augmented by a reflector or fill ight in front of the subject, underneath and just outside the frame of the shot to bounce some light up into the eyes because a light at such a high camera angle generally causes the eyes to go very dark without it. When do I use Butterfly Lighting? 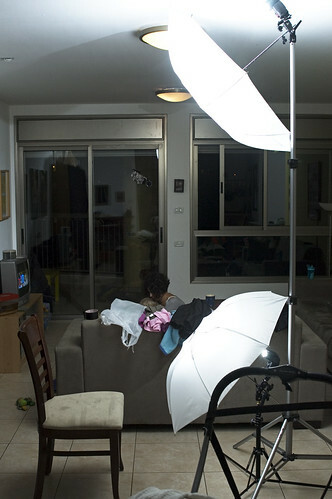 Butterfly lighting is considered the ‘fashion’ or ‘glamor’ lighting setup. Often times this is a flattering look for high-school and college aged girls. It is especially well suited to women with narrow faces and high cheekbones, but because there is very little shadow cast on the face it can add weight to the subject with a rounder face. Additionally, the lack of shadows means that it is unsuitable for subjects who have skin problems, facial scars, facial hair, etc.. Although it is occasionally used as a fashion setup for men, it is so commonly used in women's fashion photography that it has become 'synonymous' with women's glamor lighting. So much so that even people who don't pay much attention to such things may still feel like a portrait of a man with Butterfly Lighting looks 'funny' somehow, even if they can't articulate why. Additionally, the lack of facial shadow that is cast by the light is generally not especially flattering unless the man’s features are somewhat feminine already. @Jay Lance's lighting diagrams are nice, but they're top-down. That's what you want for most lighting diagrams (and hence that's how most software works). However, for butterfly lighting, the key is to position the lights vertically, "on top of" each other... and so a side-shot of the lighting setup is more illustrative. 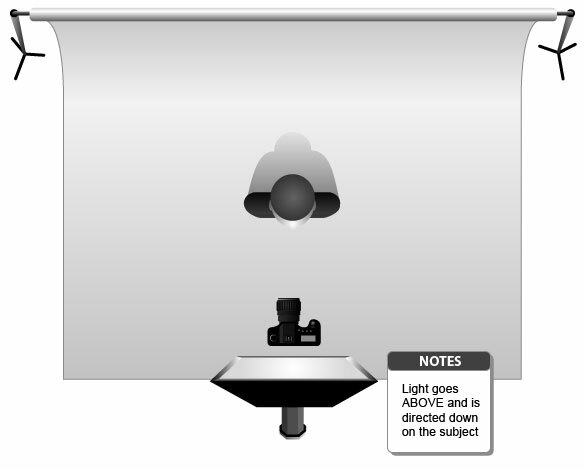 Note that in this example two soft boxes (= diffusing umbrellas) are being used instead of a soft box and a reflector—which means two light sources instead of one. 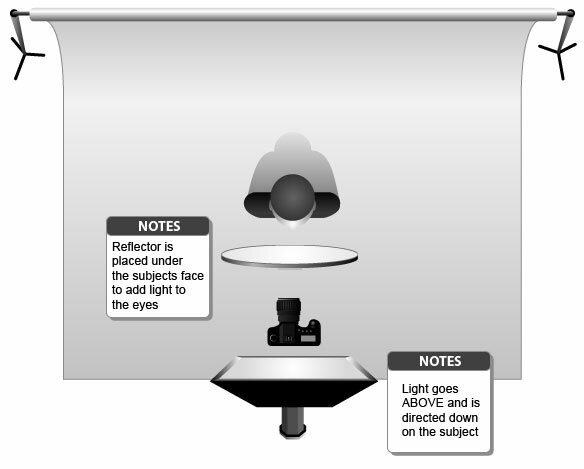 The lower light source should be set at lower power than the upper, to mimic the reflector. I used two SBs (an SB800 and an SB26) mounted with shoot through umbrellas. […] I set the upper on for 1/8 (and in some shots for 1/8 to “burn” the skin). I set the lower flash to 1/32 to mimic a dimmer light coming from a reflector. Here is an article on the subject from the digital-photography-school on butterfly lighting. And here is a nice video on the subject as well. As a note butterfly lighting typically works best with thin faces and is called butterfly lighting because of the shape of the soft shadow under the persons nose is shaped like a butterfly. Recreating Kate Moss, Life Is A Joke. What lens and lighting? 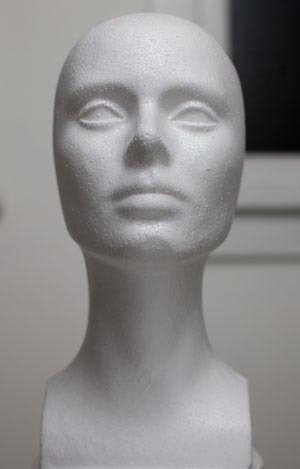 How can I achieve this 'pure white' skin effect?